In addition to lifting and moving, the transport of loads on the road represents the third important load-handling column for PFEIFER. The selection of the correct lashing equipment depends on the lashing method and the load. Recognised technical rules and directives form the framework for the correct application. 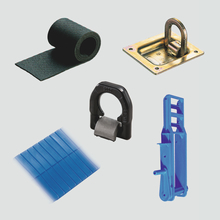 The extensive PFEIFER assortment for the securing of loads assists you with safe transport. 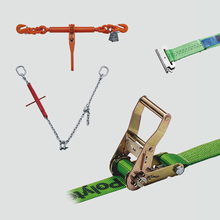 With us you will find the most diverse items of lashing equipment, from the classic lashing strap through to cover nets as well as useful accessories. In addition, we offer you technical support with your questions about the securing of loads. Incorrect securing of loads or a lack thereof can lead to serious accidents!